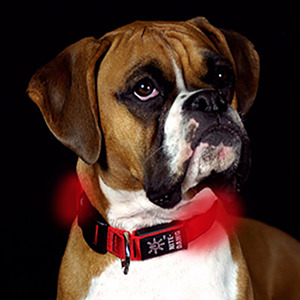 While searching at night, keep your dog visible at all times up to 1000 feet in the dark. The bright red LED flashes or glows. It is made of a flexible, light-up polymer core surrounded by strong nylon webbing. Weather resistant. The 100,000 hour LED life ensures that you're getting enough bang for your buck!